Freedom to Read Week is about censorship, freedom of expression, access to information, and your ability to read what you want. It is a serious and important subject, and one your library takes very seriously. It’s an important topic to us, and one I personally enjoy. For more on what this week is about, check out Adam’s post from earlier in the week by clicking here. 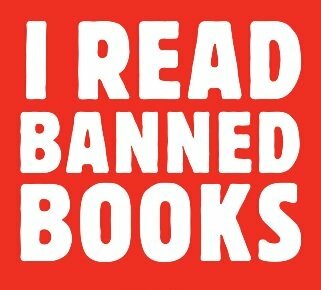 To continue our celebration of Freedom To Read week, I’ve decided to share some of my favourite banned books. Yes, even the dictionary has been challenged. Why? It contains bad words. For the full story, check it out here via the American Library Association. I sympathize with the idea of trying to keep naughty words from kids, and understand censorship is a multifaceted issue. While I am having a bit of fun here, it is important to understand that people aren’t necessarily causing harm when they are discussing banning books. I would certainly agree that materials for kids probably should not have curse words for example. However ultimately I believe that it comes down to choices. If someone wants to know something, your library will always encourage using the best possible source. Providing great resources for research is part of what libraries do. We are experts in information literacy, and try to help others improve their own skills in that regard. That is why when people come with research questions, we suggest using the best source. You will be much better off using the best resources to answer your question. For example, I will often suggest people use appropriate databases like the Learning Express Library or Canadian Reference Center (both available here) rather than an unknown webpage. We always want you to have the best information, and if you are wondering about a word I would strongly recommend you use a source you can trust. While I believe that the people who objected to the dictionary had their hearts in the right place (concern for children,) I do think they failed to consider alternatives. I would argue to anyone that it’s better for everyone (kids included) to look words up in the dictionary, even if they are somewhat naughty. After all, it’s probably a much safer alternative than what you’d get from an uneducated internet search. I love this Graphic Novel, it’s part of Lemire’s Essex County which was stapled to my coffee table when I wasn’t living in Windsor. According to the official Freedom to Read webpage, this was challenged due offensive language. (You can check out their full list of challenged works here.) I would urge people to look the occasional bad words though. Essex County has received great reviews well beyond our borders for a reason – it’s fantastic! While people from other locales may not realize it’s ostensibly about us, anyone from this area will immediately connect with the wonderful artwork that illustrates our spot in the world so well. The stories are gloomy and fantastic, full of childhood wonder meeting the harsh realities of the hero’s existence. Broken families and dreams don’t make it the lightest of graphic novels, but Lemire portrays a dream infused humanity that really spoke to me personally. I would especially recommend this series as a gift to anyone going away on a long trip, or moving away for school or work. I grew up on the delightful misanthropy of Roald Dahl. The odd characters, dark story-lines, and impressive children in the face of ineffective (at best) adults spoke to my younger self. Actually, I still like him. Dahl’s wit and inventive stories have always held my attention and spurred my imagination. Many of the author’s works have been challenged or restricted, including James and the Giant Peach, Charlie and the Chocolate Factory & The Twits. While I enjoy all of these titles (particularly Twits), The Witches is my pick from his lengthy list of banned or challenged publications. Full of dark characters (particularly the adults), Witches was challenged on the grounds that it was sexist, dark, and that it devalued the life of children. It came in at number 22 on the American Library Association’s list of most frequently challenged books. People also worried that it would encourage children to take up the occult. (For more, check out an interesting article on the challenging life of The Witches.) Concerns aside, it is a great story about a child who must overcome a serious threat to all children – dastardly witches. Really, it was banned in Texas. 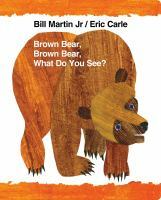 Bill Martin, author of such titles as Here Are My Hands and Polar Bear, Polar Bear What Do You Hear doesn’t seem like the most controversial of authors, but sometimes things are beyond your control. That there was more than one author named Bill Martin eluded a Texas official, who got Brown Bear banned because another author with that name wrote the work Ethical Marxism: The Categorical Imperative of Liberation. If you want to read the whole story, check it out here via the Huffington Post. Personally, I would not have guessed a bear would be a communist. I generally assume that bears are apolitical given their lack of involvement in our political system. These are just a few works that have been challenged over the years. If you want to learn more, check out the official Freedom to Read Week web presence via the banner below. Thanks for reading!